CREDIT: George E.C. 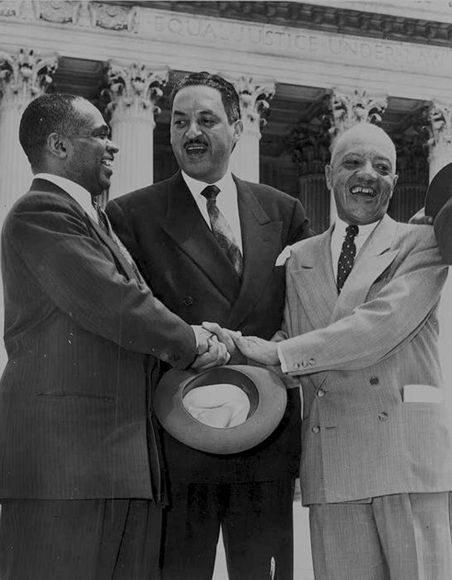 Hayes, Thurgood Marshall, and James M. Nabrit, congratulating each other, following Supreme Court decision declaring segregation unconstitutional, 1954. Prints and Photographs Division, Library of Congress. Reproduction Number LC-USZ62-111236.